Outstanding instruments for world class sound. AudioSauna has two powerful synthesizers and the web's most advanced sampler. 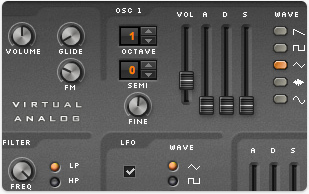 AudioSauna's virtual analog synth is a classic subtractive synth with rich warm sound. 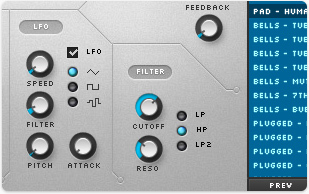 With two oscillators, its an easy tool for creating all the vintage analogue sounds from soft pads to screaming leads. 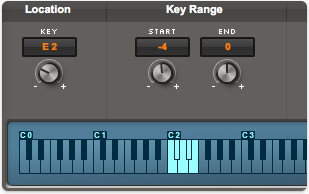 The FM-synth brings the classic bright sound of the 80's to the browser! Featuring 4 sine wave operators with 8 FM algorithms, this beaty emulates the legendary DX7's little sister, Yamaha DX-21. With features like ping-pong looping, unlimited layering, key range mapping and live effects this not your ordinary sample player. By Importing your own mp3 and wav files, the possibilities are endless. Easily refine the sound in your project. Use shared echo effects to balance your tracks. AudioSauna's mixer is easy as ABC! It features a typical channel strip layout for controlling the volume and effects of the instruments. 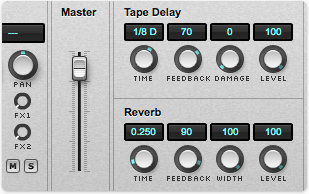 The most fundamental general-purpose effects of a mixdown are delay and reverb. The objective of these effects is to connect tracks by giving them shared acoustic characteristics. For this purpose AudioSauna integrates tape delay and stereo reverb effects directly to the mixer. Drawing on familiar conventions of DAW design. 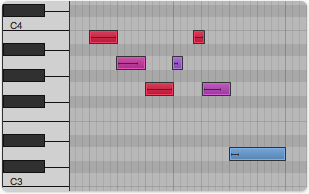 The Arrange Window provides a visual overview of your song structure. 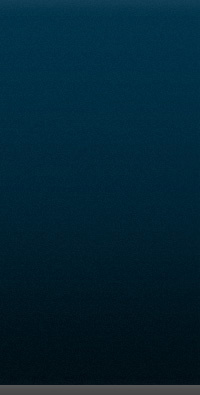 It displays when pattern blocks start to play, and their duration. Easily organize your song by moving, cutting and copying the pattern blocks in the Arrange Window.  Just like in the Arrange Window, you can use the same techniques to lengthen, cut and move notes in the Piano Roll Editor. 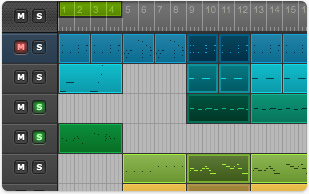 You can also alter the velocity of a note simply by dragging the note block horizontally with the Note Edit Tool. 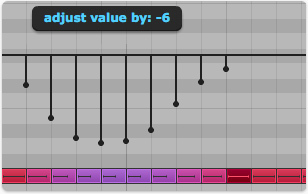 To alter values of multiple notes at once, you can simply draw an automation curve anywhere on the Piano Roll Editor. This will display the values of each note with a row of horizontal sliders. 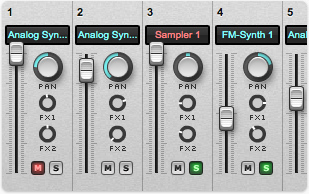 Try it with cutoff for your analog baseline and you'll instantly get that classic acid sound. Works like a charm! Listen to the Sound of Sauna. Hearing is believing, check out these examples!